1. 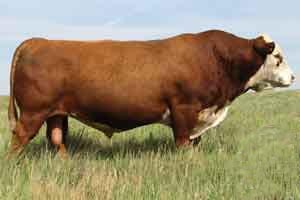 He is a high profile bull, with leading indexes. 2. Big hipped, deep ribbed , with easy fleshing. 3. Rib Eye produces quality heifers, ranking in the top 10 of all sires for teat and udder EPDs.